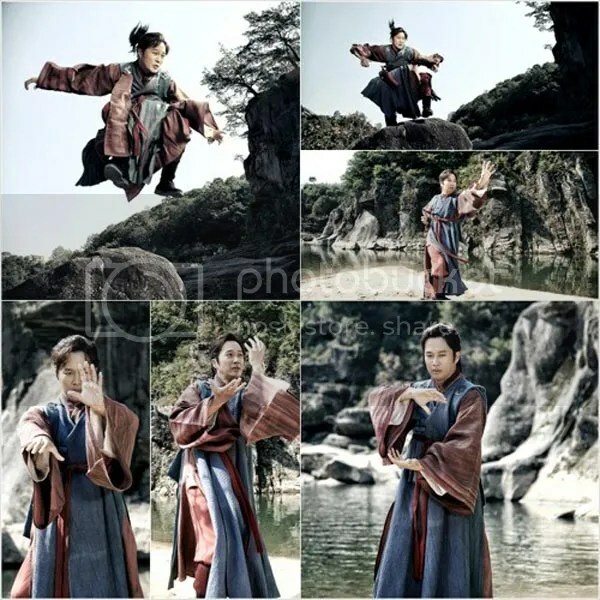 Jeon Woo Chi starts filming and here are some pictures of Cha Tae Hyun as Jeon Woo Chi. Looks interesting and maybe bit funny also since there are no special effects in these picture. Jeon Woo Chi starts Cha Tae Hyun as the title character, After School’s Uee as the leading lady and also Bake Jin Hee, Jooyeon, Jo Ha Rang, Hong Jong Hyun among the others. NU’EST, “Male version of After School?” It’s kinda burdened us. “But rather than to be the ‘2nd’ (T/N : 2nd like “2nd DBSK” or “2nd Big Bang”) we want to be something new. We really want to make something new. When people listen to our song, we want people to say ‘Seems like I know this song’. When people are listening to our song, I really want to hear ‘It’s NU’EST Style’ from them“. UEE revealed the revenue structure and division of profits within the group After School. On February 25th, UEE guested on KBS 2TV‘s ‘Entertainment Weekly popular segment – Guerrilla Date‘. During the recording, UEE confidently revealed that she made the most income among the After School members. After her debut, UEE participated in many solo activities, from variety shows to modeling in CFs to dramas. On top of this, unlike other idol groups, she stated that After School accurately divides the income according to their solo activities, making UEE’s revelation about her inflated income understandable. After School has become the new models for global handbag line ‘Samantha Thavasa’. This popular handbag line is sold in many places including South Korea, Japan, New York, Singapore, Taiwan, and Hong Kong among many other countries. A representative from Samantha Thavasa stated After School was chosen because of their “…powerful and attractive charm“. The representative also discussed their personas while engaging in a photo shoot and said “…eight active members have individual alluring charms which caused a friendly atmosphere…“. 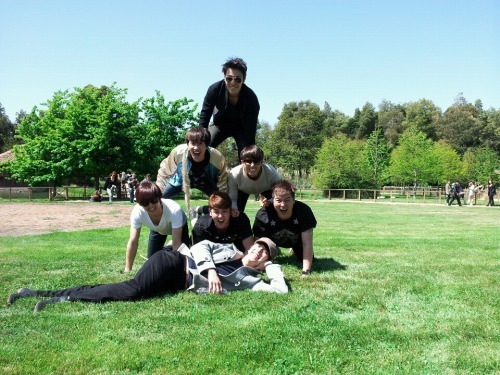 While the group was conducting the photo session a song they recorded called “Just in Time” was playing in the background. This song will used as part of their upcoming campaign. This song will be on their first full length Japanese album being released in April. After School’s ads will be released in February though the company’s official Facebook page, blogs and other social media outlets. Most of the members of After School can be seen in the photo below at a Samantha Thavasa event on November 5, 2011 where they were special guests. Netizens Wonder – Are Lizzy & Seungyeon Twins? I agree they look like twins. I was watching Pit-a-Pat and I had a hard time differentiating between the two. Three pictures of Lizzy along with three photos of Seungyeon from Kara were uploaded to online sites today for facial comparisons. 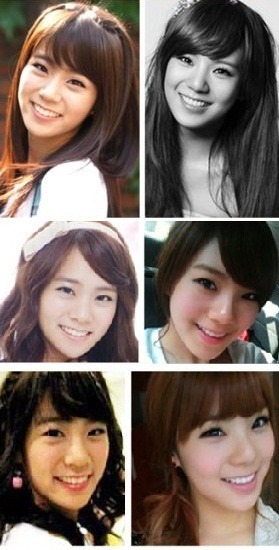 Many netizens feel the idol groups members look very similar to one another and could pass as twins. Though some netizens wanted to compare and judge the two women’s looks on personals scales most were content with leaving comments like “Twins?” and “Sisters?” due to Lizzy and Seungyeon’s striking resemblance. Today’s charts show us the release of Kim Hyunjoong‘s debut Japanese solo single “Kiss Kiss/Lucky Guy”, which made it to the 2nd place in the daily rankings with 71,821 copies sold. After School‘s “Rambling Girls/Because of You” snatched away the 6th spot. The daily album charts, however, show us that B1A4‘s predebut release of their Korean albums made it to the 13th spot. The Boss‘s “Love Letters” sold 14,379 copies in its first week, resulting in a 7th spot on the Oricon weekly charts. Se7en‘s comeback mini album got to the 13th place with 9,524 copies sold. A surprise appearance by T-ara with 2,818 copies of their newest Korean mini album was noted to be at the 31st spot. BEAST managed to get up to a 3rd spot in this week’s DVD charts with the release of their latest concert DVD.